Octopus on left, Squid on the right. Butterfly roll in the back. The squid was kind of plain. The octopus was almost impossible to eat without shark teeth or a sharp knife. I didn’t have either of those things. The butterfly roll has eel, shrimp, avocado and cucumber. It was delicious. In this one plate, I crossed three things off of the bucket list. Oh yum! 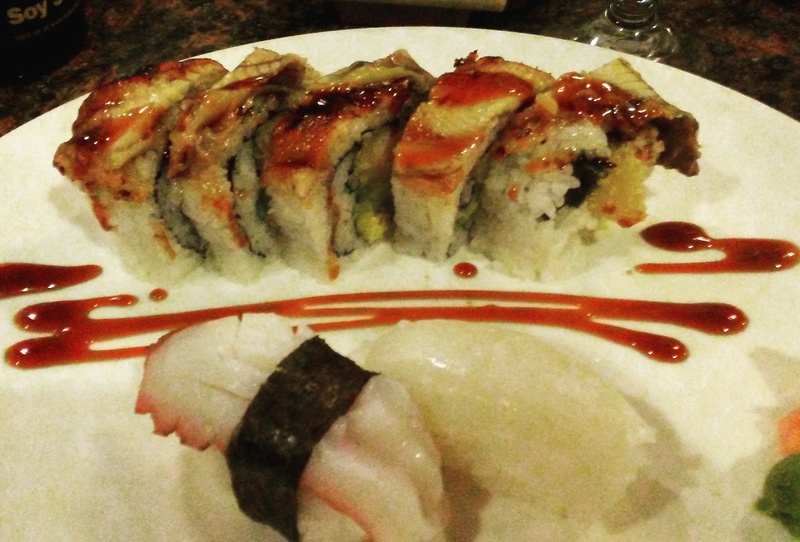 I looovvveee sushi – eel rolls are especially yummy. I’ve had squid and octopus cooked as non-sushi (which are nice), but after what you said about the sushi versions I think I’ll stick with the cooked ones hehe.